In the Stacks started as a group of musicians who wanted to bring amazing music to an amazing place. 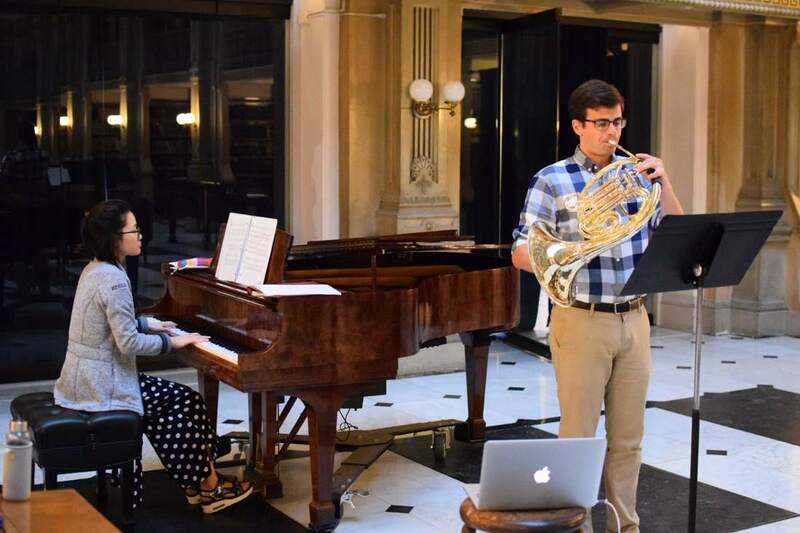 We put together a program we thought was engaging, interesting, and diverse, and set the stage in the George Peabody Library, one of the most beautiful Libraries in the world. When our first performance had a line out the door and around the block, we knew we were on to something. We don't charge for tickets. All of our performances are free and open to the public, with a suggested donation at the door to help us defray our operational costs. We also make our programming accessible- we think the arts are pretty great, but we know they can get stuffy. Our performances break down the barriers between the performers and audience to make the arts relevant and engaging. Packed in, with standing room only, we, the audience, were invited to be a part of the performance, participating in a musically accessible experience where we could be fully engaged as attendees. -Amy T.
We go out of our way to program living artists, and artists from underrepresented communities. Our performances bring together local musicians, artists, and other creative people for unique projects & collaborations. Sam has performed interactive & engaging recitals throughout Baltimore and the Northeastern US. In 2016, he performed an acclaimed recital in the Greek Sculpture gallery at the Walters Art Museum, and was subsequently invited to perform on the Museum's ART/SOUND/NOW series, where he explored the connection between contemporary music and ancient sculpture. He has also toured with the Marquee Brass, including residences with El Paso Pro Musica, Mesa Performing Arts Center, and Carnegie Hall's Ensemble Connect Audience Engagement Institute.